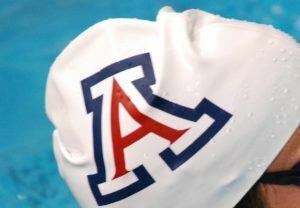 Tonight in Federal Way, Washington, swimmers are set to compete in the first individual event finals at the 2018 Men’s Pac-12 Championships as they race in the 500 free, 200 IM, and 50 free. They’ll also be swimming the 200 free relay tonight. The team battle between Cal and Stanford is heating up, with each having 10 A finalists. Stanford has 2 more B finalists than Cal, but the Bears are the favorites in the 200 free relay and come into the session with a 6-point lead. Check out the up/downs report here to see how close this team race is shaping up to be. 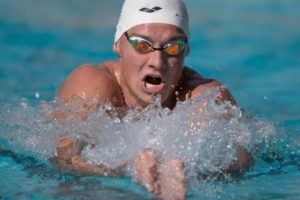 The 500 free final will feature defending champion Grant Shoults, but teammates Liam Egan, Matthew Hirschberger, and Johannes Calloni will challenge. The 200 IM will pit 4 Cal men against 4 Stanford men. Defending champ Andrew Seliskar is in the hunt, but teammate Matt Josa looks good after his 1:42.08 in prelims. 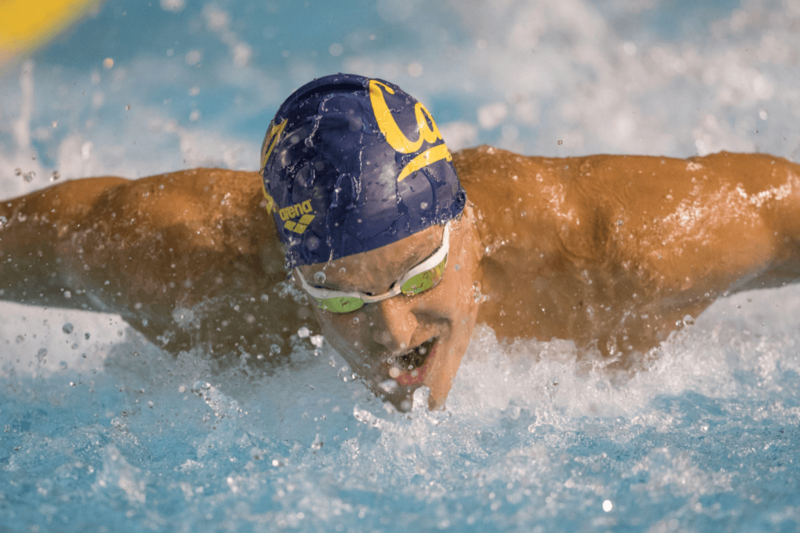 Cal’s Justin Lynch leads the way into the 50 free final, but he’ll be up against teammates Ryan Hoffer, Michael Jensen, and defending champion Pawel Sendyk, as well as USC’s Olympic sprinter Santo Condorelli. 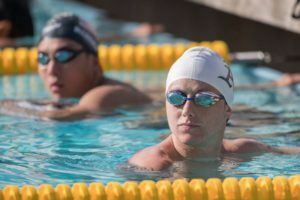 Stanford freshman Matthew Hirschberger had the early speed, but 2017 champ Grant Shoults and Cal’s Nick Norman were tied for the lead by the 300-yard mark. Stanford’s Shoults picked up the pace through the back half, repeating as champion as he pulled ahead of the field. Cal freshman Sean Grieshop used his back-half speed to knock a second off his best time and take the silver ahead of Stanford’s Liam Egan, who held off Norman (4:16.41) on the last 50 for the bronze. Hirschberger wound up 5th in 4:16.60, followed by fellow Cardinal freshman Johannes Calloni (4:16.85). Cal’s Matt Josa took off with a 21.70 fly split to lead, but Stanford’s Abrahm DeVine led by a second after the back leg. 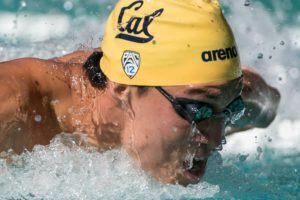 Cal’s Andrew Seliskar started to close the gap with a 29.35 breast split, but DeVine held steady down the final stretch to win it by over half a second. Seliskar joined him under 1:42, while Josa was slightly off his prelims time to take the bronze. Stanford’s Curtis Ogren and Cal’s Trenton Julian battled for 4th place, with Ogren holding off Julian into the finish to out-touch Julian 1:44.03 to 1:44.04. A 3-man battle through the last stroke saw Cal’s Justin Lynch clip USC’s Santo Condorelli and Cal’s 2017 champ Pawel Sendyk for the title. Lynch clipped another tenth off his best time, while Condorelli dropped nearly 2 tenths. Arizona’s Chatham Dobbs dropped a couple of tenths to take 4th in 19.12 ahead of Cal’s Michael Jensen (19.19). The Bears’ standout freshman Ryan Hoffer was 6th tonight in 19.25. Cal’s Justin Lynch was just a nail off his time from earlier tonight to lead the Bears off in 19.06. He teamed up with Pawel Sendyk (18.80), Ryan Hoffer (19.13), and Michael Jensen (18.79) to take the win. USC picked up the silver highlighted by Dylan Carter‘s 18.82 on the 2nd leg. Stanford came in 3rd with an 18.91 from Sam Perry on the 3rd leg. Arizona’s Chatham Dobbs led off in 19.24 to help the Wildcats nab an NCAA ‘A’ cut and 4th place in 1:17.42. Is there a live video? Is there any way I can watch not through pac 12? He must either be super not rested and/or sick. 4:14.. probably unrested!! Look out for Tako’s 400 IM tomorrow. 4:18 was a solid swim for him in the B for the 5. Stanford gonna have quite a few scorers in that 500 at NCs. Maybe 3-4 up? 500 is definitely getting competitive tho. 3-4 scorers, sure, but they’ll be lucky to have two Up.South Carolina and Michigan with two apiece under 4:11, at least… plus Haas… after that more wide open. Ipsen, maybe? Zach Yeadon? We’ll see a lot of 4:12s..
What makes you think he’s unrested? Coming into the meet his best ranking was 30th in the 500 I believe. They have to have all of them make it to be able to score – Hirschberger isn’t even in right now. Calloni should be good but he’s still slightly bubbly at 25th in the mile. And as Caleb alluded to, the 500 is fast – 4:13 is 8th right now. Shoults and Egan have both gone that fast but the other two are obviously a few seconds out. Forgot about Sweetser… he’s been 4:12 too. Grieshop getting into scoring range in his events at NCs would be huuuuge for Cal. Looks like he’s on track. 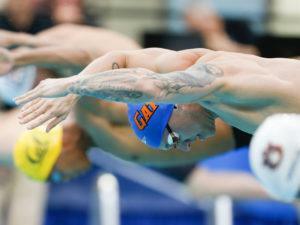 That’s his best time by over a second (according to the times listed at CollegeSwimming.com). Xcellent job!